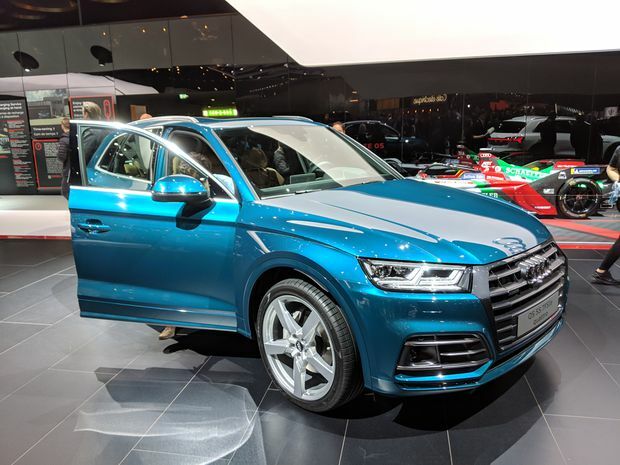 New offerings from brands such as Audi, whose Q5 SUV is seen at the 2019 Geneva International Motor Show, are likely to boost the adoption of plug-in hybrid vehicles. Plug-in hybrids suddenly look like a smart choice. This once-obscure automotive niche that combines the best of electric and gasoline power finally seems poised for success thanks to a flurry of new models from Audi, BMW, Jeep and Kia. The term “plug-in hybrid” (PHEV) isn’t exactly scintillating. It sounds vaguely like a type of toothbrush. However, these cars offer the best of both worlds: emissions-free electric power for short trips and long-range capability using gasoline engines. Plug them in overnight to recharge the battery, refuel them instantly at a gas station. The downside is that having two engines means considerably more complexity, which initially resulted in higher prices and limited choice. Those factors limited the appeal of PHEVs. That’s about to change. At the 2019 Geneva International Motor Show this month, automakers announced more than 10 new plug-ins. The head of BMW’s electric i sub-brand says the company will have 10 PHEVs available globally by the end of the year, including the X3 seen here. In Geneva, Audi launched four new PHEVs. Two of them – the Q5 SUV and A8 full-size sedan – will land in Canadian showrooms this fall. The third, the mid-size A7 fastback sedan, will arrive afterward. The fourth, the mid-size A6 sedan, hasn’t been confirmed for Canada yet. In Audi-speak, these cars can be identified by the “TFSI e” label, or more simply by the fact they have what looks like two fuel-filler doors: one for gasoline, the other for electricity. Audi quotes ranges of up to 40 kilometres in electric-only mode, after which the gasoline motor will kick in. That range estimate is based on the slightly optimistic WLTP standard. Expect roughly 30-35 km in real-world situations. Electric power is stored in a 14.1 kWh lithium-ion battery located under the trunk. “Plug-in hybrids will be mainstream, and there will only be a little surcharge compared to gasoline engines,” Sander said. 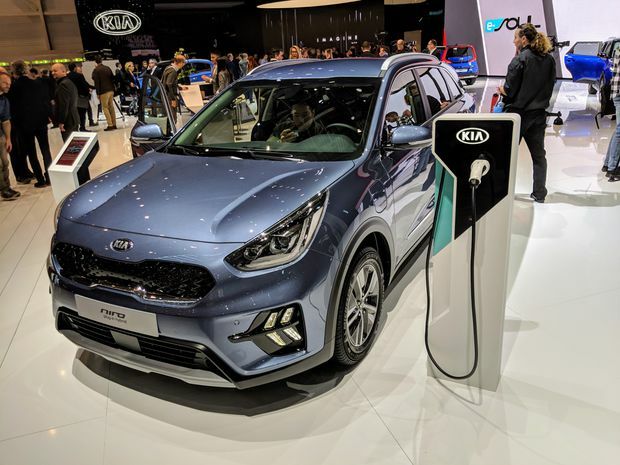 South Korean automaker Kia has updated its Niro PHEV, which is expected to be available in Canada as a 2020 model. Prices for Audi’s new PHEVs haven’t been announced yet, however the brand’s only plug-in currently on sale in Canada is the A3 Sportback e-tron, which costs $40,900. It sits in the middle of the A3 range in terms of price and power. Sander, like many in the auto industry, sees PHEVs as a stepping-stone technology, bridging the gap until fully-electric vehicles – or some other technology – reaches price parity with internal-combustion vehicles. BMW is already seeing demand pick up. The plug-in version of the 5 Series sedan accounts for 30 per cent of that model’s sales in North America. At $71,199, it’s priced in the middle of the 5 Series range. There will be 10 PHEVs across BMW’s lineup, globally, by the end of 2019, Irlinger said. “We are preparing all of our vehicles’ architectures so that every vehicle could have a plug-in hybrid,” he added. 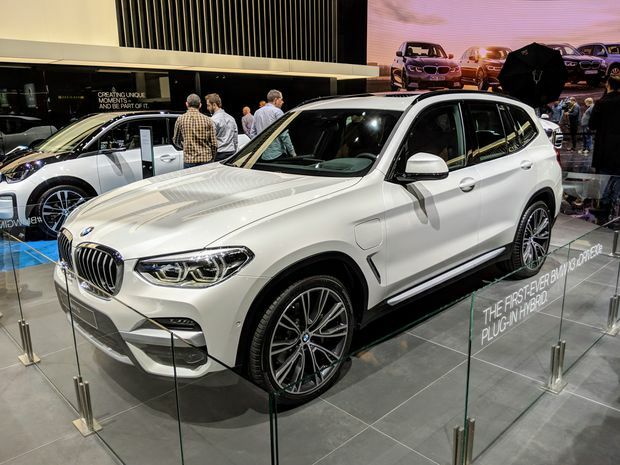 At the Geneva motor show, BMW had four new PHEVs on display: the compact 330 sedan, full-size 745 sedan, mid-size X5 SUV and compact X3 SUV. “Plug-in hybrids, for us, are a core part of our electrification strategy,” Irlinger said. 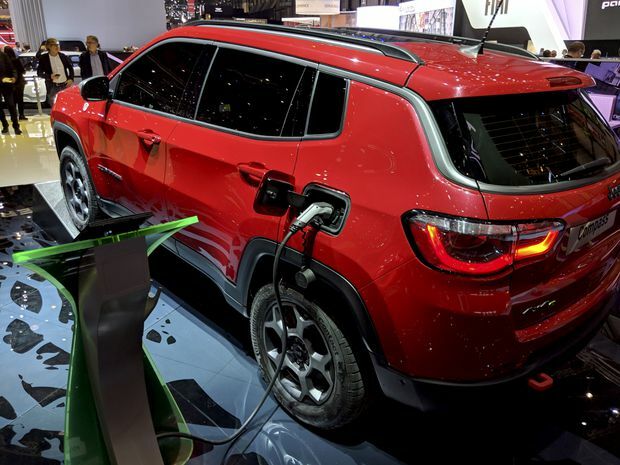 Jeep was among brands making its PHEV debut at the Geneva show, revealing plug-in versions of the Renegade and Compass SUVs. The company wouldn't confirm, however, if they’ll eventually be available in Canada or not. BMW claims the four new PHEVs have an electric range of 50-60 km, and up to 80 km for the X5. Those estimates are based on “NEDC-equivalent” figures, so they’re likely very optimistic. Still, if you drive less than 40 km a day, you might be able to commute all week without burning a single drop of gasoline. Other brands also used the Geneva show to debut plug-in hybrids. Kia updated its Niro PHEV, which should land in Canada as a 2020 model. Jeep showed plug-in versions of the Renegade and Compass SUVs, although wouldn’t confirm if they’ll eventually be available in Canada or not. We expect they will, alongside Alfa Romeo’s small SUV concept, the Tonale, which looks to be based on the Renegade’s platform. “Battery electric vehicles and plug-in hybrids are important to be compliant [with emissions regulations] but we also see customer demand really picking up,” Audi’s Sander said. The Geneva motor show was like a coming out party for PHEVs as they aim for mainstream success. On paper, they seem like an ideal solution. The question of availability is being answered as plug-in drivetrains are set to proliferate across all types of automobiles, from SUVs to hatchbacks to luxury sedans. There remains the question of cost, however. When this new wave of plug-ins arrive later this year, we will find out if they can compete on price with traditional gasoline vehicles. The writer was a guest of Audi in Geneva. Content was not subject to approval.